This Commonwealth War Graves Commission headstone, in the parish area of St Clement, is located to the west of the east path. Captain 101508 of the 118 Lt A.A. Battery, Royal Artillery. 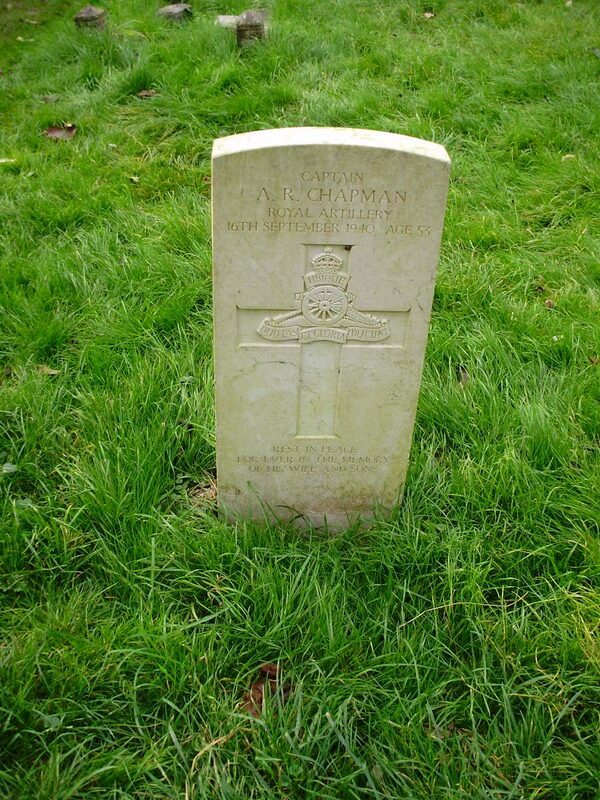 Arthur was the son of Arthur and Susan Chapman of Cambridge and the husband of Blanche Isabel of Torquay. 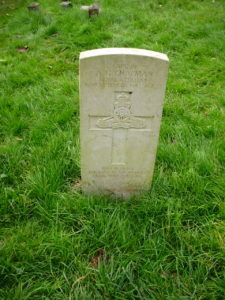 The parish record records that he was of 117 LAA Royal Artillery, Steeple Morden and was buried on the 20th December. There was a coroner’s inquest which has not yet been researched.